There is a lot to see and do in Asakusa, a district northeast of the center of Tōkyō. It is very easy to travel between Asakusa and both of Tōkyō's international airports, and several places offer budget accommodation. 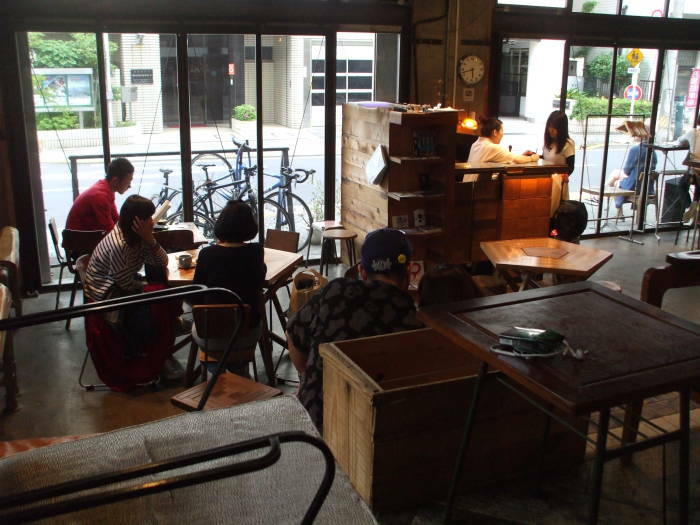 It is an ideal place to start and end a visit to Japan. Buy a Pasmo transportation card at the airport, then hop on one of the frequent trains to the Asakusa station. 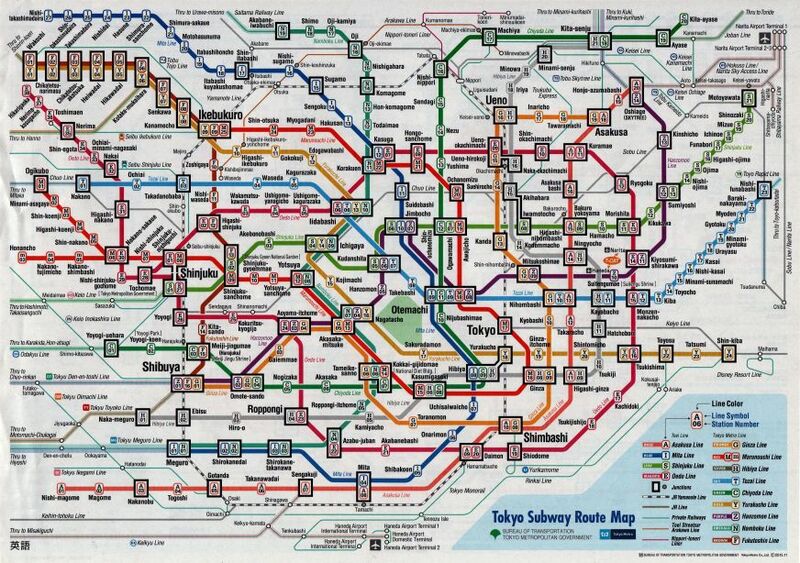 Yes, the large and complicated Tōkyō train and subway system can be intimidating, especially when you have just arrived on a flight lasting ten to twelve hours! Asakusa is in Taitō-ku or Taitō Ward, north of Akihabara and east of Ueno. Don't get confused, we are headed toward Asakusa, northeast of the center, and not Akasaka, west of the center! Asakusa's main attraction is the Sensō-ji, a Buddhist temple and surrounding complex that is the most-visited religious site in Japan, and second-most-visited world-wide after the Hindu pilgrimage center of Sabarimala. Sensō-ji's origin goes back to 618 CE. Asakusa became an entertainment district during the Edo period of 1603-1868, when Japan was ruled by the Tokugawa shōgunate and largely cut off from the outside world. Edo was the name of the largest port city, what later was renamed Tōkyō. The neighboring district of Kuramae housed rice warehouses, and the owners of those warehouses had the disposable wealth to set up theaters and geisha houses in Asakusa. Japan opened to the outside world when the Emperor returned to power in the Meiji Restoration of 1867-1868, and Asakusa remained an entertainment district into the 20th century. 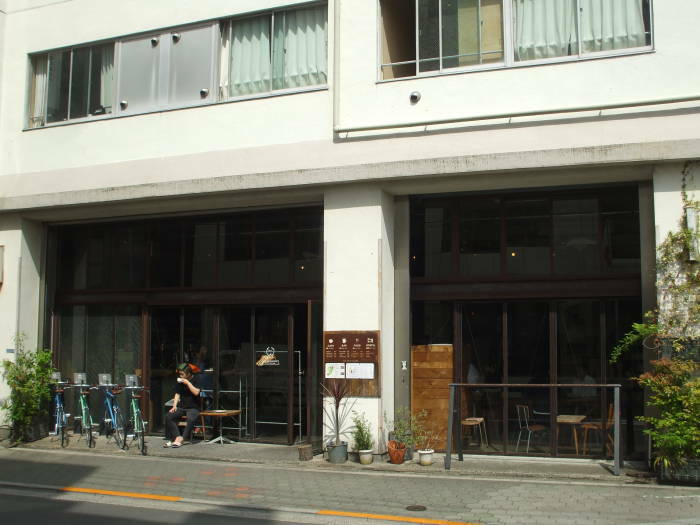 While the area was heavily damaged during World War II, especially during the incindiary bombing raids of March 1945, the area retains a more traditional atmosphere and a greater concentration of older buildings than the rest of Tōkyō. Most of the rest of this page is about the places where I stayed. 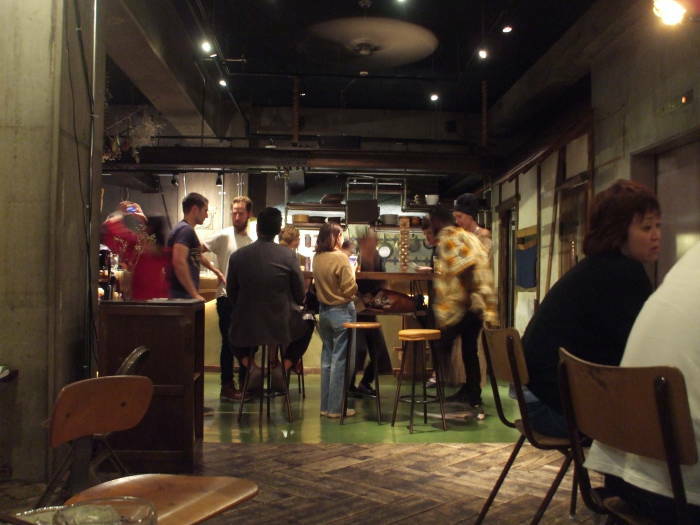 If you already have that figured out, you may want to go ahead and jump to another area of Asakusa. I flew into Haneda airport and took a train to the Asakusa station. Then I walked west about 500 meters along Kaminarimon-dōri. That's the major street with the Kaminari-mon or Kaminari Gate into the Sensō-ji complex. 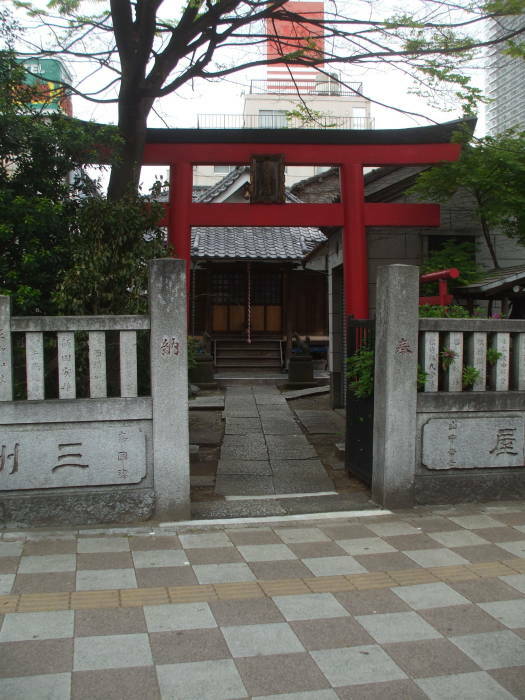 I passed the gate and kept going, turning right (north) on the first major cross street, and then left (west) down a narrow street to the Khaosan World Asakusa Ryokan & Hostel, 3-15-1 Nishi Asakusa, Taitō-ku, Tōkyō, 111-0035, +81-(0)3-3843-0153, khaosan-tokyo.com. Research addresses in advance on Google Maps. Japanese street addresses tend to be fairly meaningless. The non-numerical part will get you to a district, but not necessarily to a specific street. As for the building number, they're assigned by order of construction rather than position along a street. Later in the trip I went to a kōban, a small police office along a street, asking how to find a specific address. The police officer I asked didn't know, and he took me into the koban to ask his partner, who was also stumped. They consulted a large book showing addresses and ownership down to a scale of a few meters. After about 15 minutes of research they realized that the address I was looking for was about 50 meters away from the police box where they worked every day. In the above picture we're looking across the main street and down the narrow side street toward the place where I'm staying. 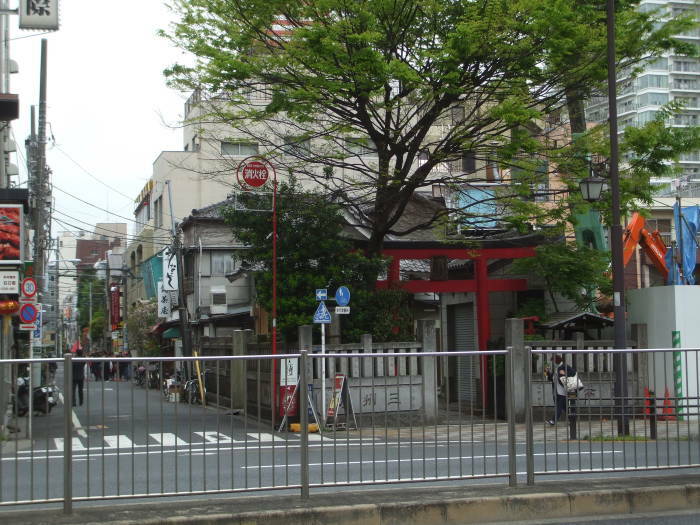 I'll need to go to the corner to cross the main street, then return to that Shintō shrine and go down the side street. 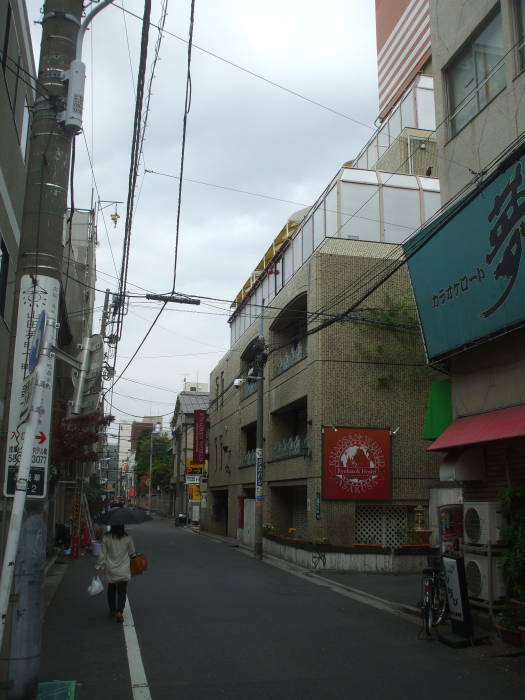 Above is the Khaosan World Asakusa Ryokan and Hostel, on the right with the red sign. Below is the view when I've walked most of the way past it and turned back to look at its entrance. There is an underground parking area entered through this ramp. 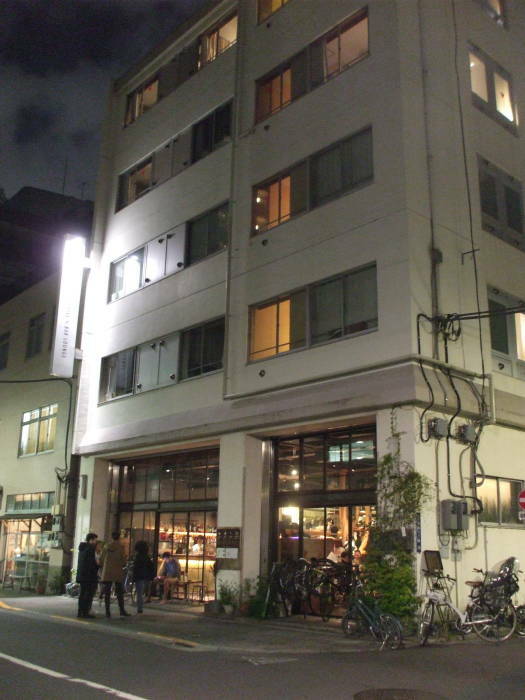 Khaosan has several hostel properties across Japan, and multiple ones in the Asakusa area. 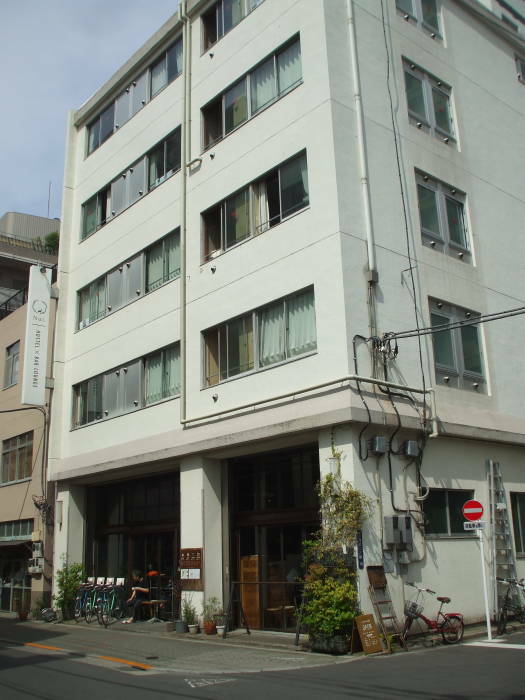 This one, and I think some of the others in the Asakusa area, are former love hotels. A love hotel is locally called a rabu hoteru or ラブ ホテル. You can spot them by their distinctive advertising and complex pricing schedule, with the costs for a "rest" of a few hours and an overnight "stay" varying with start time. Love hotels are designed for romantic trysts. The concept goes back to the early years of the Edo Period, the early 1600s CE. Some inns and teahouses in Edo and Kyōto had specific procedures for discreet entry and exit, sometimes to the extent of excavating tunnels. 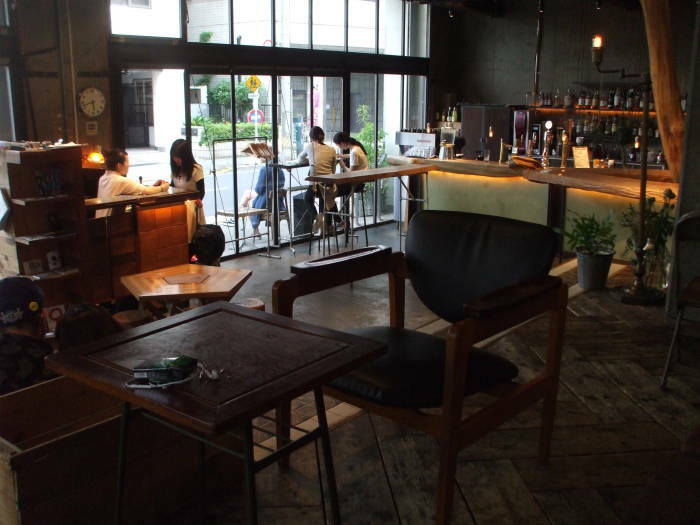 After World War II the Occupation forces and the legality of prostitution made these establishments very popular around the Ueno district, just west of Asakusa. Those came to be called tsurekomi yado or "bring-along inns". Prostitution was made illegal and pushed underground in 1958, and the love hotel business boomed. Some love hotels have truly garish architecture. If you've seen The Wolverine, you know what I mean. Others are bunker-like with no windows and partially underground hidden entrances. The Khaosan World is in a building that was somewhere in between those extremes, closer to the bunker. One thing that tipped me off at the Khaosan World was the dire warnings about how I mustn't bring anyone in with me. Any guest bringing a visitor will be fined and immediately evicted with no refund, that sort of thing multiple times at the entrance door and near the front desk in English and, apparently, in Japanese. I knew about love hotels and recognized the architectural clues. I decided that the dire warnings were really aimed at people who knew it back when, or who jumped to a conclusion from the location and architecture. 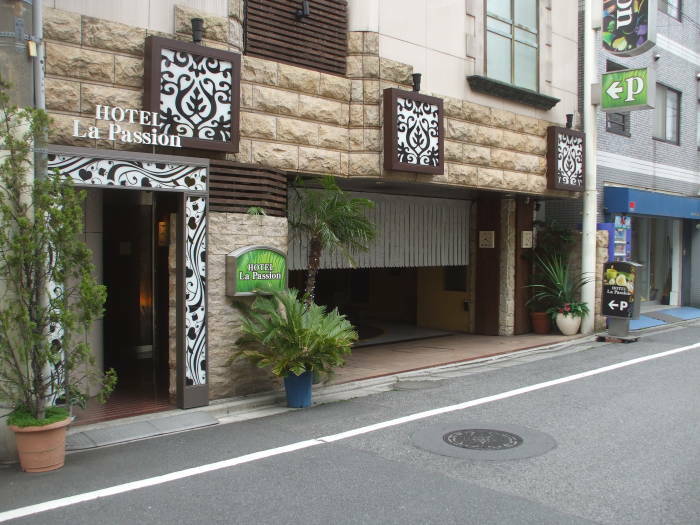 Meanwhile, a real live example of an operating Love Hotel was just across the small street and a few buildings down. 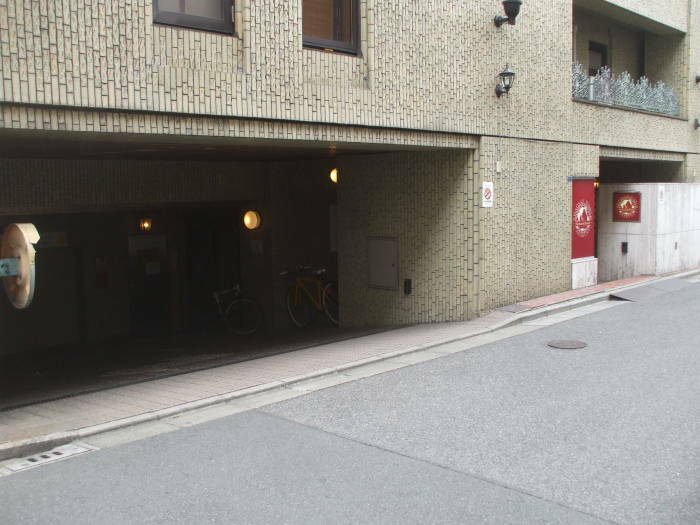 Some love hotels have underground parking with a garage door that rolls down behind an entering car. Others, like this, have a curtain in the garage entrance that mostly hides your car once you pull in. 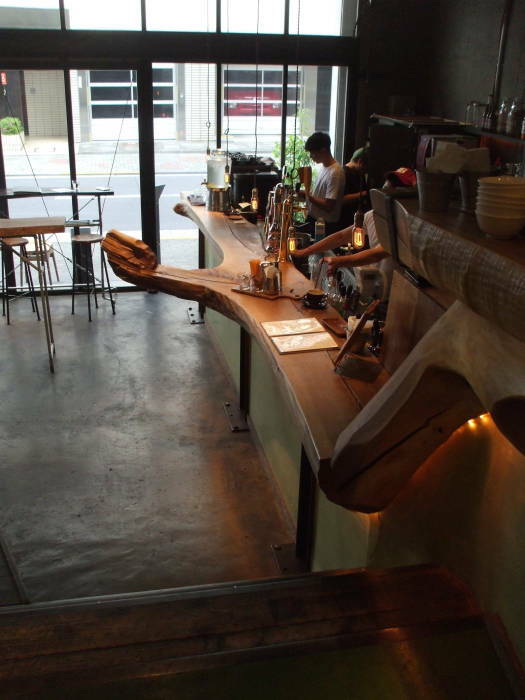 Once inside, any interaction with staff is minimized. Payment might be through a slot in a frosted glass panel. Or it might all be automated, with room selection via an array of room pictures with push buttons and slots to pass your money through. As the Khaosan World Ryokan and Hostel name suggests, the rooms and beds are a mash-up of a hostel-style shared room and a traditional ryokan inn. Ryokan have been around since the 8th century CE, during the Keiun period. The Nishiyama Onsen Keiunkan opened in 705 CE in Hayakawa, Yamanashi Prefecture, and the Hōshi Ryokan in 718 CE in Komatsu, Ishikawa Prefecture. They are recognized as the first and second oldest operating hotels in the world. Yes, there were travelers' inns before the early 700s, but these are still operating in the same locations. A ryokan as it has existed since back in the 700s is an inn serving travelers. 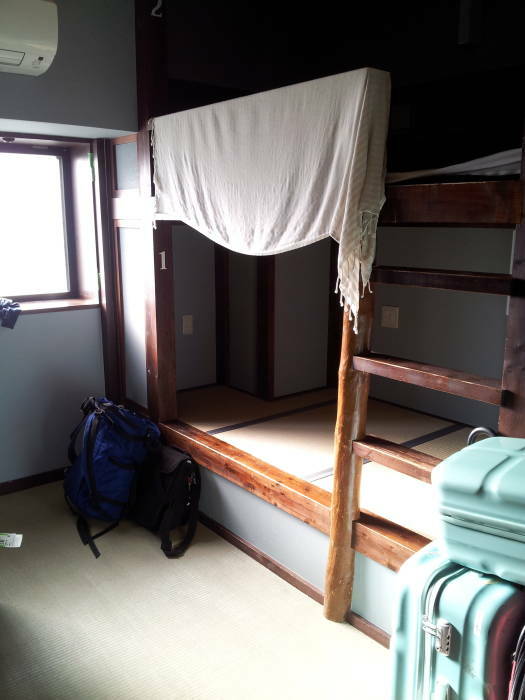 Their rooms have tatami mats, and there are communal baths and common areas where the visitors can talk with each other and the inn's proprietor. 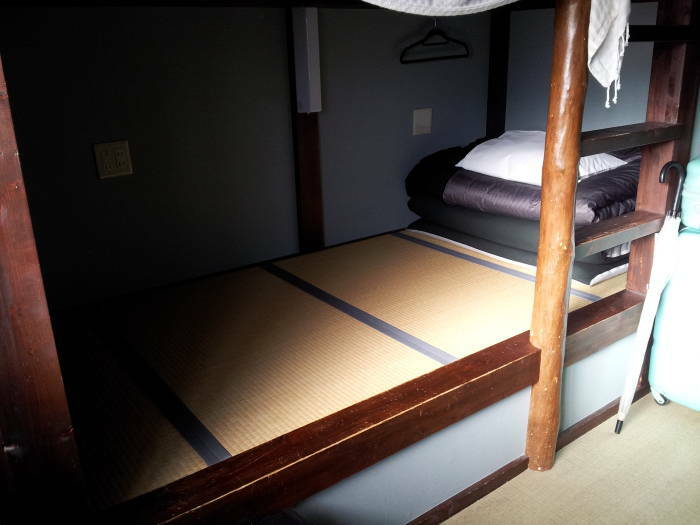 Below is my space, with tatami on the raised sleeping platform. 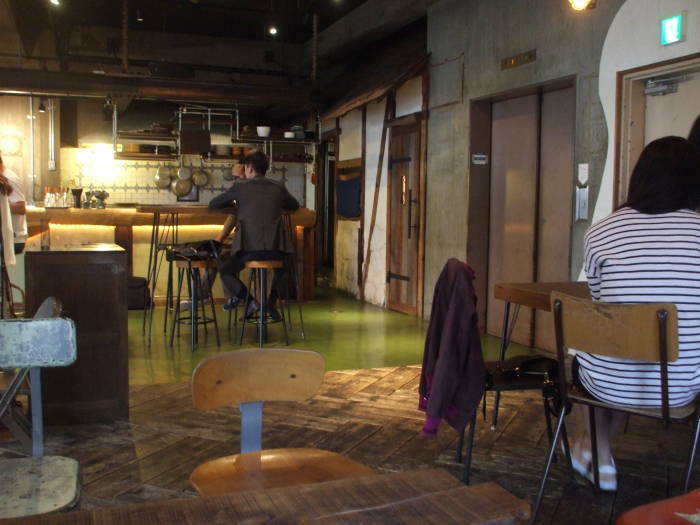 Tatami mats are made from rice straw to precise standardized sizes of 2:1 aspect ratio for those used to cover floors. The Tōkyō standard is 1.76×0.88 meters. The "auspicious" arrangement lays them out with T-shaped junctions, while the "inauspicious" arrangement is a simple grid with +-shaped junctions. The main floor covering isn't exactly tatami, but it's a somewhat similar straw-like carpet. My sleeping area has a futon, or really a shikibuton or "spreading futon" as a mattress, and then another, lighter futon or a kakebuton or "covering futon" as a duvet, plus a pillow. Plus, multiple electrical outlets, a hanger, a light, and more than enough space for me plus some of my bags. Very nice! I had flown from Chicago to Tōkyō Haneda, a flight that takes about 12 hours and covers about 12 hours of time zone change. Leave about noon, fly 12 hours, land about noon local time. Tremendously tiring and disorienting. 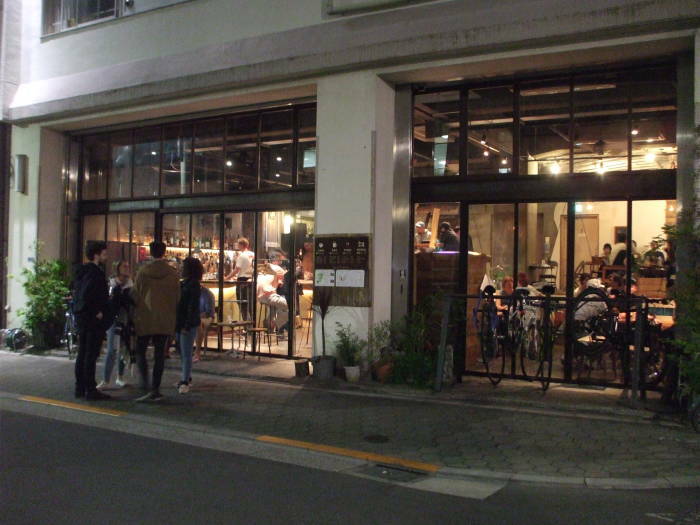 I managed to stay up until about 2100 local with dinner and a visit to Hoppy Street. But then it was back to my tatami and futon and sleep. In the morning I was up by about 0500, so I visited the temple at Sensō-ji for the 0630 chants. Very nice. 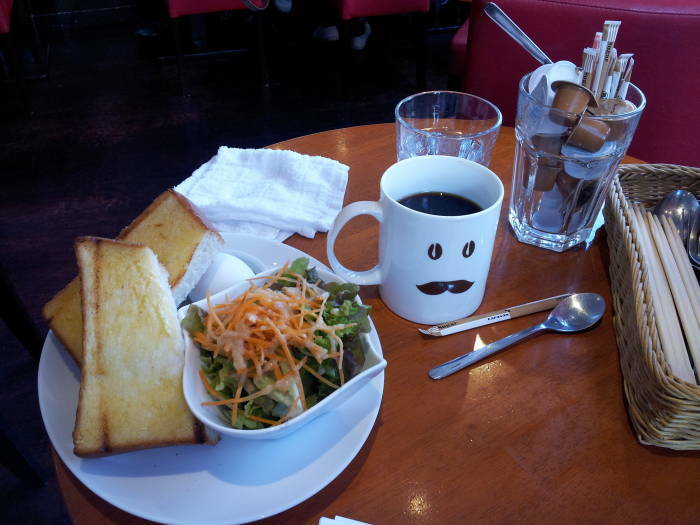 Then I could get a typical breakfast in the neighborhood, as seen above. After wandering around Japan for about a month, I returned to Tōkyō for a few days before flying home. 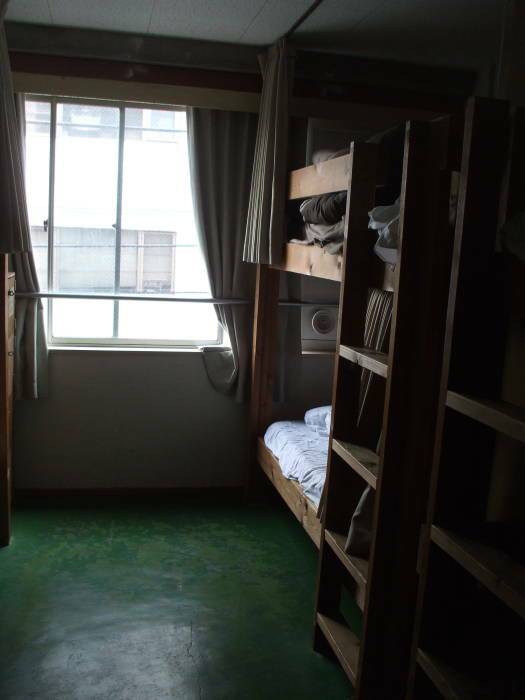 This time I stayed at the Nui Hostel at 2-14-1 3 Kuramae, Taito, Tōkyō 111-0051, +81-(0)3-6240-9854. It's about a kilometer south of the Asakusa station, so strictly speaking it's not in Asakusa but for my purposes it's close enough. 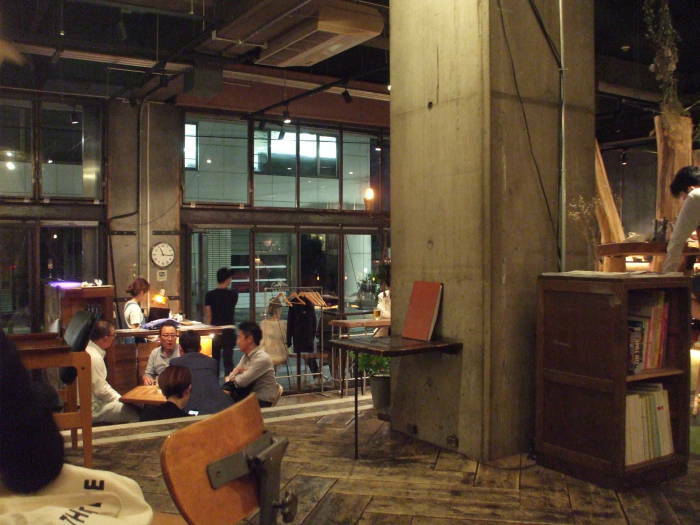 The ground floor is a coffee shop / cafe / bar that's very popular with locals as well as people staying upstairs. The sequence that "tells the story" to me is to visit Sensō-ji, approaching it through its outer gate Kaminarimon and proceeding down Nakamise-dōri. But follow whichever path you choose.